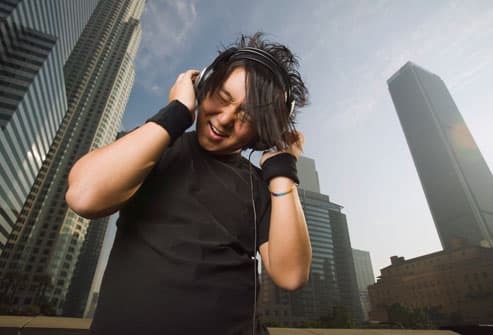 Long-term exposure to continuous loud noise can cause lasting hearing loss. A common culprit is workplace noise, like machinery. About 30 million Americans face hazardous levels of noise at work. Things like motorcycles and power tools also can damage hearing over time. If you can, avoid or take breaks from noisy activities. Wear earplugs or ear protectors that fit over the ear. 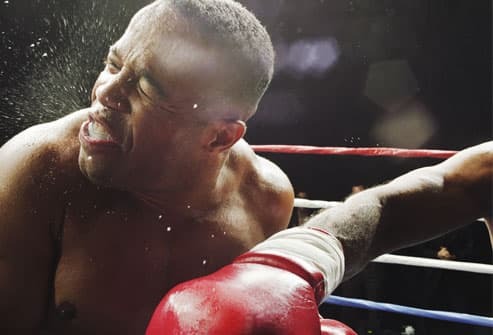 Severe head trauma can dislocate middle-ear bones or cause nerve damage, causing permanent hearing loss. 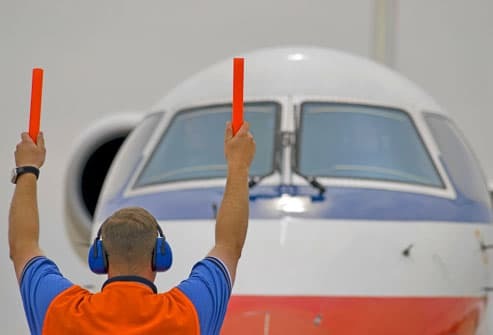 Sudden changes in pressure -- from flying or scuba diving -- can lead to damage to the eardrum, middle ear, or inner ear and hearing loss. Eardrums usually heal in a few weeks. In serious cases of inner ear damage, you may need surgery. Sticking cotton swabs or other objects into your ear is a bad idea. Doing so can rupture your eardrum and cause permanent damage. 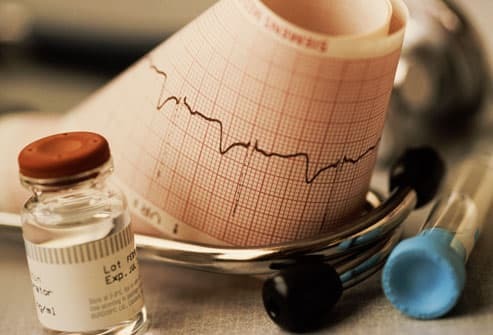 Some medicines are known to cause hearing loss as a potential side effect. These include certain antibiotics and cancer drugs. Often hearing is monitored during these treatments. However, some hearing loss may be permanent. 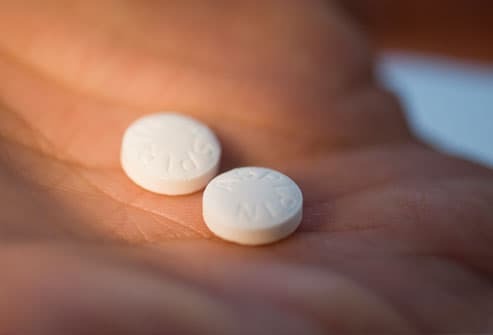 Regular use of aspirin, NSAIDs, and acetaminophen can increase the risk of hearing loss. In some cases, hearing-related side effects go away when you stop taking the medication. Certain chronic diseases that are not directly related to the ear can cause hearing loss. Some cause harm by interrupting blood flow to the inner ear or the brain. These conditions include heart disease, stroke, high blood pressure, and diabetes. 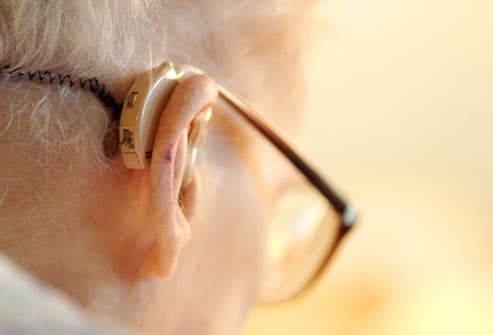 Autoimmune diseases, such as rheumatoid arthritis, also can be linked to some forms of hearing loss. Sound waves enter the outer ear and travel through the ear canal. 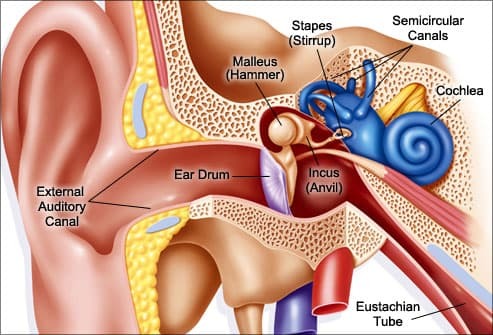 This causes the eardrum and tiny bones, called the hammer, anvil, and stirrup in the middle ear to vibrate. Then vibrations travel to the fluid in the cochlea where microscopic hairs send nerve signals to the brain so sound is understood. If any of these parts are damaged or pathways are blocked, it can cause hearing loss. Noncancerous growths, including osteomas, exostoses, and benign polyps, can block the ear canal, causing hearing loss. In some cases, removing the growth can restore hearing. 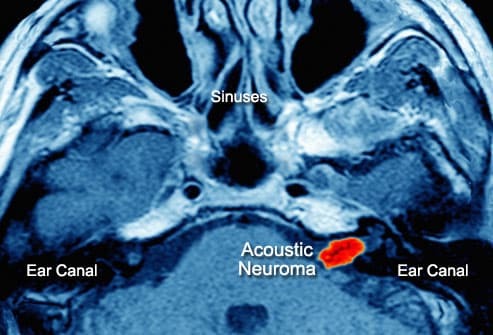 Acoustic neuroma (an inner ear tumor shown here), grows on the hearing and balance nerve in the inner ear. Balance issues, facial numbness, and tinnitus can also be a problem. Treatment can sometimes help preserve some hearing. Nearly 17% of U.S. adults have some degree of hearing loss. Sometimes it is caused by very loud and sudden noises. 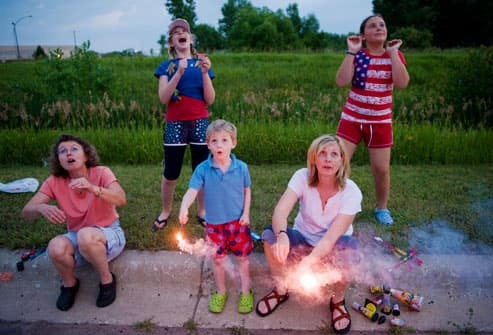 Firecrackers, gunshots, or other explosions create powerful sound waves. These can rupture your eardrum or damage the inner ear. This is called acoustic trauma. The result can be immediate and may result in permanent damage and hearing loss. Loud concert? Ringing in your ears afterward? That’s called tinnitus. 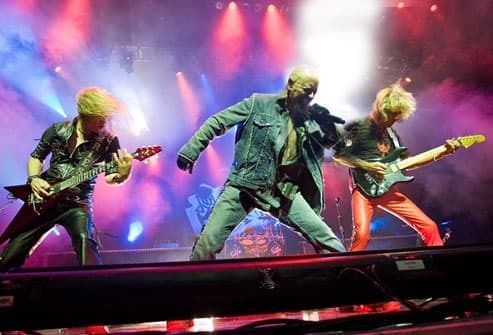 The average decibel level at a rock show is 110, loud enough to cause permanent damage after just 15 minutes. Hearing damage can occur with extended exposure of any noise over 85 decibels. Other risky sounds include leaf blowers and chain saws. Normal conversation registers at 60. Tinnitus can last for hours, days, weeks, or permanently. To prevent hearing damage or loss, use earplugs and limit your exposure. Can others hear the music and lyrics you’re listening to through earphones? If so, you may want to turn down the volume. Using headphones or earbuds can cause temporary or permanent hearing changes. The louder the volume and the longer listening time, the greater your risks may be. For safer listening, lower the volume and limit listening time. Earwax protects the ear canal against dirt and bacteria. But earwax can build up and harden. This blockage can affect hearing. It also might give you an earache, or make you feel like your ear is clogged. Think you have an earwax blockage? Don't try removing the wax with a cotton-tipped swab or by inserting anything else into your ear canal. A doctor can do it quickly and safely. Many childhood illnesses can cause hearing loss. Ear infections can cause the middle ear to fill with fluid and cause hearing loss that usually clears when the infection and fluid are gone. Other infections may cause damage to the middle or inner ear and permanent hearing loss. 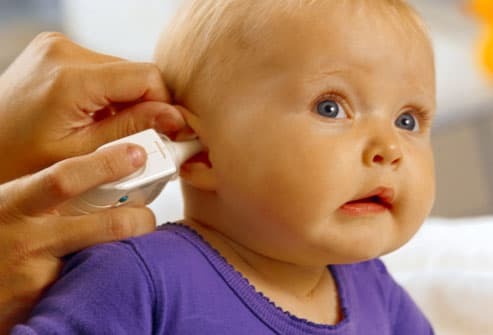 Diseases known to affect hearing in children include chickenpox, encephalitis, influenza, measles, meningitis, and mumps. Vaccines can help protect your child from several of these diseases. Your pediatrician can explain which vaccines your child should get, and when. 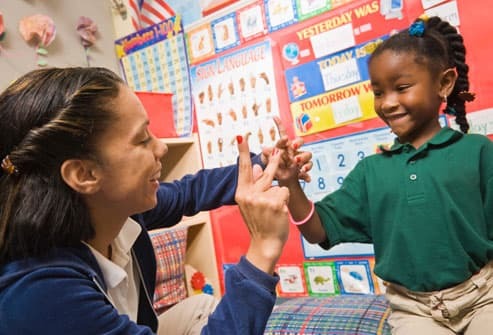 Some children are born with hearing loss. This is called congenital hearing loss. Though congenital hearing loss often runs in families, it can occur with maternal diabetes or an infection when pregnant. Hearing loss can also develop if a newborn is premature or from other causes such as trauma during birth resulting in the infant not getting enough oxygen. Neonatal jaundice may also be responsible for some cases of neonatal hearing loss. Hearing weakens as you grow older. This can happen even if you protect your ears all your life. Usually, age-related hearing loss is caused by the progressive loss of inner-ear hair cells. There's no way to prevent this type of hearing loss. 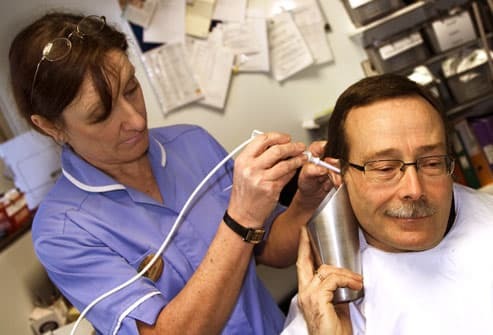 But there are many ways to help make up for hearing loss to help you hear. Talk with an audiologist to see what may work best for you. 6) Zephyr / Photo Researchers Inc.
Brian Fligor, director, diagnostic audiology, Children's Hospital in Boston. Dangerous Decibels, American Tinnitus Association. Keppler, H. Archives of Otolaryngology-Head & Neck Surgery,2010. Merck Manual Home Health Handbook, 2007. Michael Rothschild, MD, director, pediatric otolaryngology, Mount Sinai Medical Center, New York. National Institute on Deafness and Other Communication Disorders, National Institutes of Health.